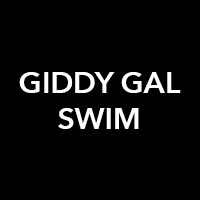 Brand Bio Explore your inner Pin-Up Girl and Old Hollywood Style with Giddy Gal Swim Creations. This vintage inspired swimwear helps you to see yourself differently while at the pool or on vacation. Giddy Gal Swimsuits are unique one-of-a-kind swimwear that fit a woman’s body. 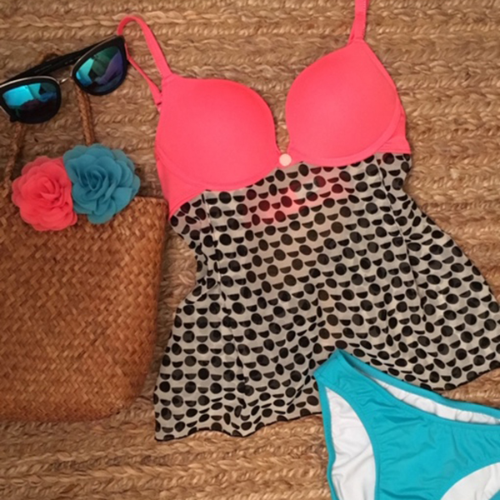 Each suit is constructed by hand, combining elements to create swimsuits that fit and flatter. Whimsical Giddy Gal Swim middies can be worn to the beach and then to lunch or dinner by pairing these gals with shorts, skirts or jeans. Add a playful touch to the décolleté, shoulder, back or even your hair with Giddy Gal blossoms. Giddy Gal Swim designs adorns the beauty of today with your vacation of tomorrow. Designer Bio-Karen Smith Thinking creatively in my teaching career has directly impacted the Giddy Gal Swim Creations brand. Wanting to look as attractive as I felt, I decided to make my own swimwear. I noticed that different fabrics dried well in the sun keeping their color and shape. So I shopped for fabrics with color and patterns that I found pretty and created my first suits. I started wearing my new swimwear on vacation and people noticed and complimented my style. Vacationers asked me where I purchased my suit, and when I told them they asked if I had a website. I thought that maybe other woman want to feel beautiful in the body they have today. Everyday is a fashion show and I want to be in it... Giddy Gal Swim Creations have been seen in local bridal shops, boutiques, malls, print and woman’s shows. They have walked the runways in New York City, Los Angeles Raleigh, Charlotte and Myrtle Beach.